Owing to our countable experience of the industry, we have been able to manufacture supply and export a range of Olive Oil Aluminum Caps. Congruent with industry laid guidelines, these caps are available in various specifications and also in customized range to meet the specific needs of the customers. 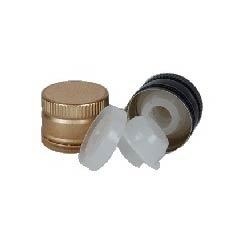 Our team make use of advanced machines and high grade material procured from the reliable vendors of the market in manufacturing these caps. Our expertise of this domain has enabled us to offer Aluminum Metal Caps congruent with the demands of customers. We are accompanied with industrious professionals who have a profound knowledge of latest machines. We are sourced with premium quality raw material from authentic vendors of the market. Our range of metal caps are widely used in pharmaceutical, distillery, wine, vodka, whiskey, food, beverages and chemical industries. 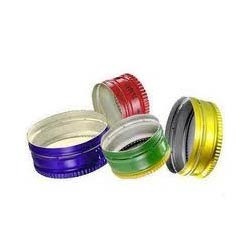 Backed by a team of highly experienced professionals,we are capable of providing our valued clients with our eminent quality of Aluminum containers whichare highly durable in different shapes and sizes(15 ml, 25 ml, 50 ml, 80 ml, 100 ml, 120 ml, 200 ml and 250 ml and others) according to the customization demand. 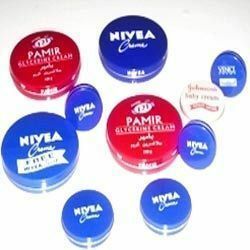 Our Aluminum containers are manufactured using supreme quality raw material transported from the prominent vendors in the industry and are known for its fine finish, even texture and flawless lasting. We are well known in the market for our fine quality products in affordable prices with deliveries on time.